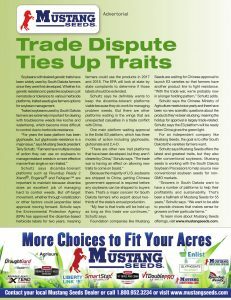 Madison, SD, March 1, 2019– Mustang Seeds, Inc. and GDM are pleased to announce we have entered into an exciting joint venture to bring the newest genetics and innovative technology to expand our seed line-ups. For more information about both companies you can visit their websites at www.mustangseeds.com and www.gdmseeds.com. 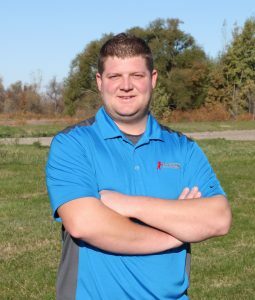 “We’re very excited to have Nate join our team at Mustang Seeds. 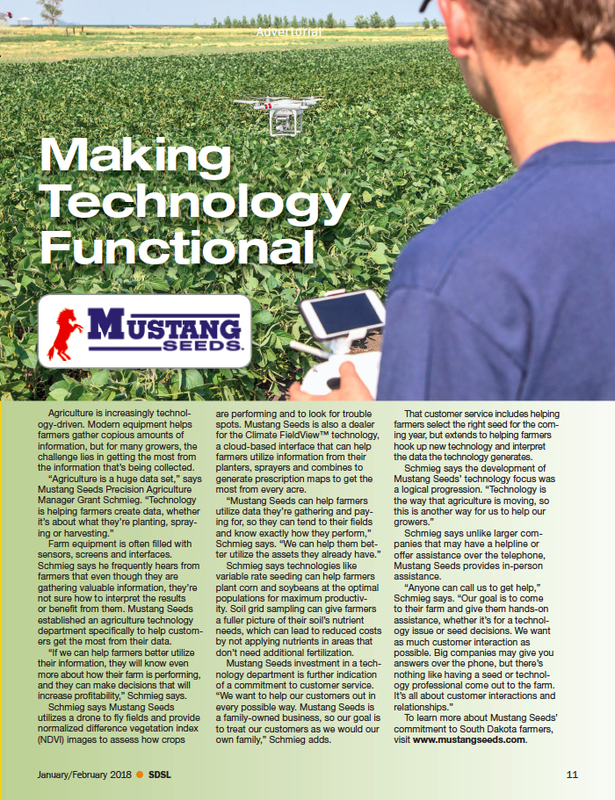 Nate’s experience will not only benefit Mustang Seeds, but his knowledge will help the growers better their farms.” says Terry Schultz, owner and president of Mustang Seeds. You can contact Nate at natehoffmann@mustangseeds.com or 320.805.0282. Scott Erickson has been hired as a District Sales Manager in Ada, MN. Scott graduated from Ada-Borup High School and worked for a local ag company. Scott started in sales and was most recently the Inventory and Operations Manager. 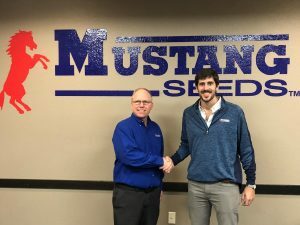 Scott will be based in the new Mustang Seed warehouse located in the Ada Industrial Park. This new warehouse was recently opened and will be a full-service facility for all Mustang Seed customers. 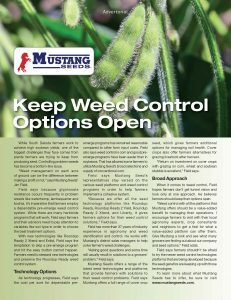 Mustang Seeds has a complete line-up of seed corn, soybeans and small grains suitable for growers in the upper Midwest. 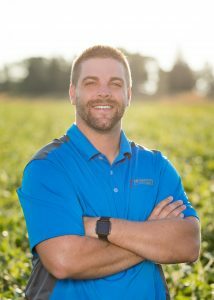 Mustang Seeds is proud to announce the addition of Jay Merkens to the Mustang Seeds team. 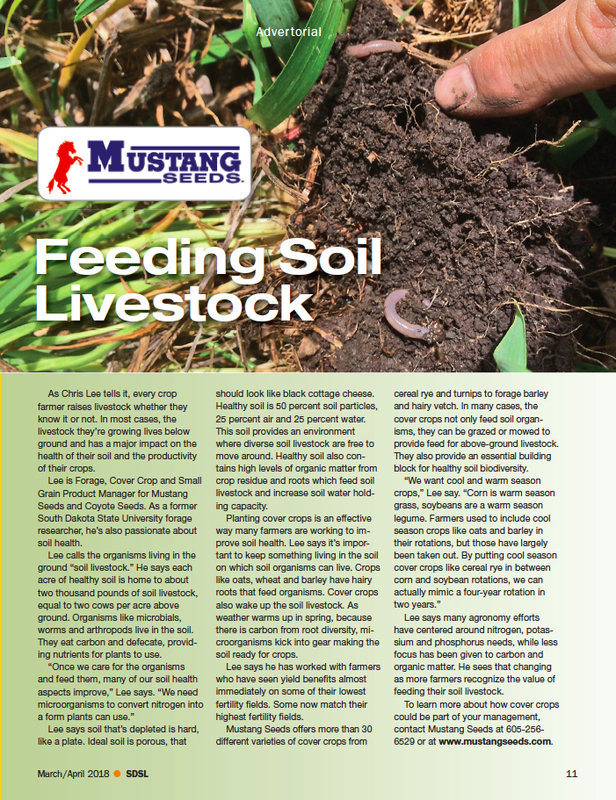 ADA, MN — The Norman County Fair, Ada, Minnesota is pleased to announce Mustang Seeds as the presenting sponsor of the Agricultural Education Center. Mustang Seeds employs over 60 people, with 5 warehouse locations in South Dakota, Minnesota and North Dakota. In 2018, Mustang Seeds will be celebrating 55 years of being a part of the seed industry. Over those 55 years Mustang Seeds products have been planted in South Dakota, North Dakota, Minnesota, Nebraska and Iowa. 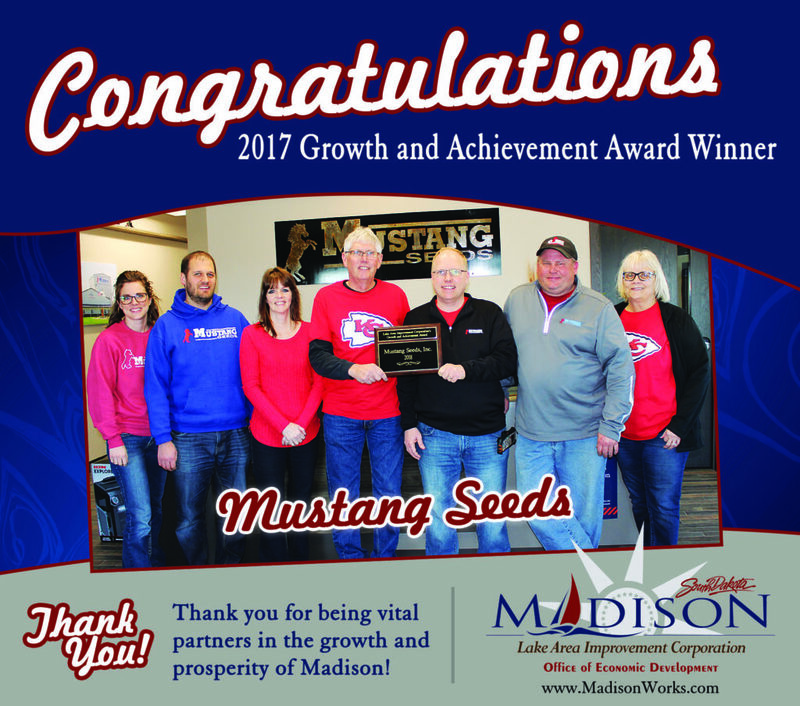 With headquarters in Madison, South Dakota, Mustang Seeds is dedicated to giving back to the local communities that support one of their missions of building long lasting relationships. Longtime Ada resident, Mark Brownlee, Mustang Seeds District Sales Manager, has been a significant supporter of the Ag Education Center and realized the impact this center has in the Norman County area. “The fair board and volunteers have put a lot of time into this project and we are happy to be involved at this level and are proud to give back to a community that supports us”. The Norman County Fair will be held June 20-23, 2018 and will be celebrating the expansion of the Mustang Seeds Ag Education Center. Emphasis is placed on educating the visitors of the Fair as to where their food comes from, the lengths our local producers take to ensure the safety of our food and fun facts about the Norman County region. “Local, regional and out of state support of the Ag Education Center has really grown in the past couple of years. We are very grateful for the support of those who have given of their time, talents and dollars to bring this project to this level”, said Norman County Fair Board President, Don Merkens. New for 2018 will be the Bee Healthy exhibit that will focus on the importance of pollinators and how this affects those in the Norman County area, including the growers and the consumers. Other exhibits scheduled in the education center include live farm animals, crop displays, hands on activities and educational demonstrations. The Mustang Seeds Ag Education Center will be open from 10 am – 8 pm daily during the annual event. 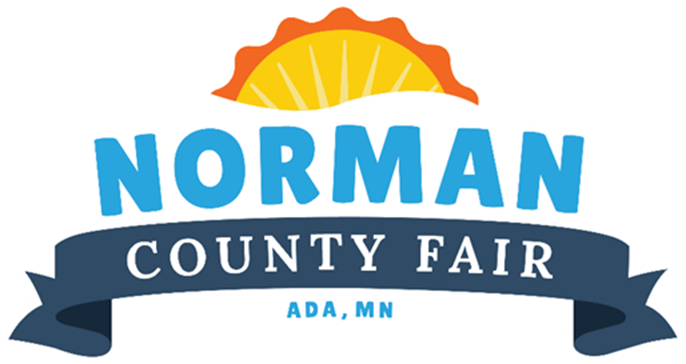 The Norman County Fair will be held June 20-23, 2018 in Ada, Minnesota. For more information, visit the website at www.normancountyfair.com. The Growth and Achievement award is announced annually at the LAIC’s Annual Meeting. It is awarded to a company that displays their abilities to to preserver, create jobs, facilitate job growth, leadership and/or facility growth. Mustang Seeds, the recipient of this year’s award has persevered for 55 years – since Ray & Marlys Schultz developed the Mustang Seeds brand in 1963. Congratulations to Mustang Seeds on their continued commitment to the community through the growth and expansion of their new office building. 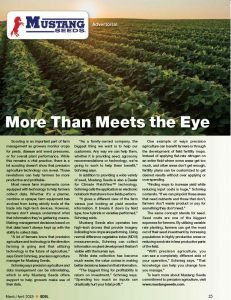 From the South Dakota Soybean Leader magazine. Read more. Mustang Seeds, a family owned independent seed company based in Madison, South Dakota, is proud to announce the grand opening and ribbon cutting of their new office headquarters. Construction began July of 2017 on a new 6,900 sq. foot office building. Construction was completed January 2018 and consists of 16 offices and a large conference room that can accommodate up to 100 people. 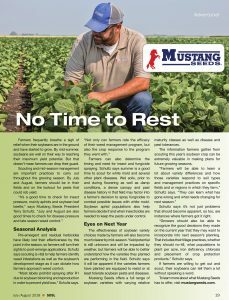 Mustang Seeds has experienced tremendous growth over recent years and to create a more efficient experience for customers, the office staff was consolidated into one location. 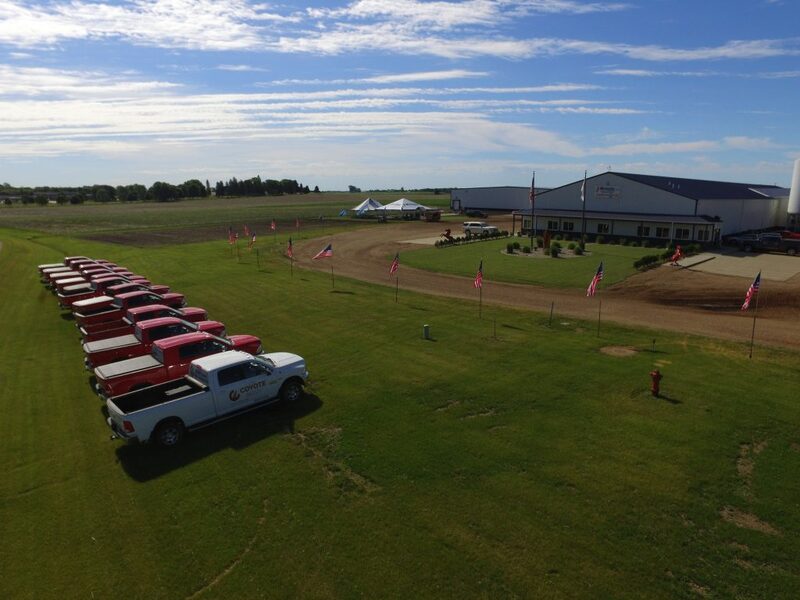 Mustang Seeds employs over 60 people, with 5 warehouse locations in South Dakota, Minnesota and North Dakota. In 2018, Mustang Seeds will be celebrating 55 years of being a part of the seed industry. Over those 55 years Mustang Seeds products have been planted in South Dakota, North Dakota, Minnesota, Nebraska and Iowa. 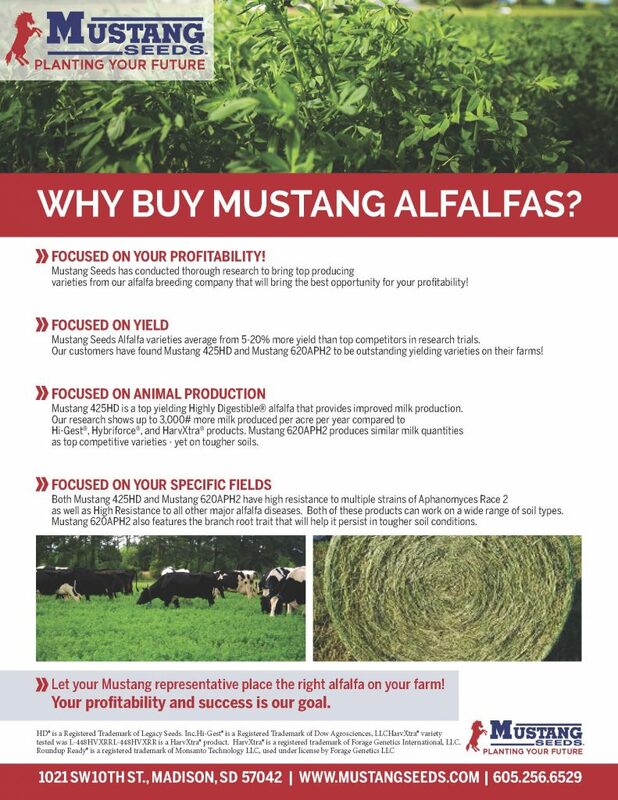 It is the mission at Mustang Seeds to continue to provide choices for our customers, by offering a variety of seed products including corn, soybean, alfalfa, pasture grasses, oats, native grasses, cover crops and sorghum. 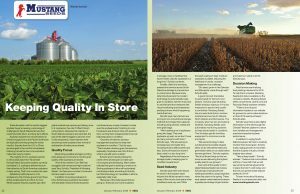 The company considers producer choices the driving force for our business model at Mustang Seeds. 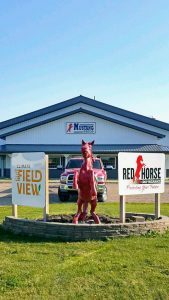 In 2017, Mustang Seeds established its own crop insurance division known as Red Horse Crop Insurance. 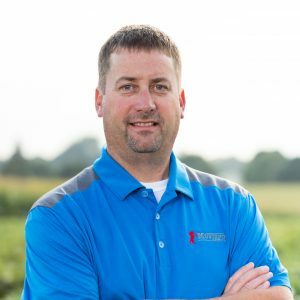 Corey Strom, who has 15 years’ crop insurance experience and 6 years of seed sales experience is the leading agent. His physical office location can be found in the new office building. The new office building is nearing completion. All office personnel will be moving to 1021 SW 10th Street the week of January 22nd. Please be patient with us as phone calls will be forwarded to cell phones and internet may be down. We will do our best to answer calls and emails ASAP. 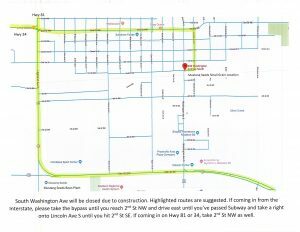 Just a note, that the small grain, cover crop, grass seed purchases and deliveries will remain at our Washington Ave. location. We will host a ribbon cutting/open house at a later date! South Dakota seed company provides a variety of choices to customers. President Terry Schultz says Mustang Seeds wants to enable its customers to make the best choices possible. The company has been selling seeds in South Dakota and surrounding areas for 54 years. It offers a range of seed products, including corn, soybean, alfalfa, pasture grasses, oats, native grasses, cover crops, and sorghum.